Students practice skills like Inquiry, Word Analysis, Comprehension, Spelling, Vocabulary, Writing, Grammar, Mechanics, and Usage. 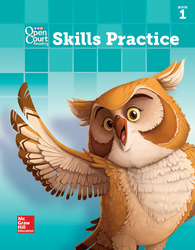 Each workbook has all the worksheets conveniently organized by lesson. These worksheets provide students the opportunity to practice and apply the skills they are learning. Book 1 of 2.